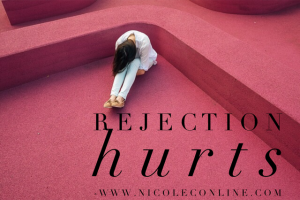 Are we looking at rejection in the wrong way? Yes, rejection may feel like your heart is being torn in tiny pieces, but depending on how we look at it, we can turn it into a positive. Instead of looking at rejection as a negative, let’s view it from another landscape. I’ve been rejected on more than one occasion and I’m sure I’ll be rejected in the future. What helped in my healing journey was when I realized that God knew what was best for me. He gives us what we need and not always what we think we want. The process was super painful but the end result was essential to my well-being. May I encourage you to let go of the negative thoughts about rejection. Replace the word rejection with redirection. God is redirecting you to something better. Allow him to complete the work. Don’t force a closed door open. God closed it for a reason. Beautiful perspective and position on rejection. It makes me glad that I was rejected because I now understand that I’m being redirected! Keep up the great work Nicole!